Miodownik, Mark. Stuff Matters: The Strange Stories of the Marvellous Materials That Shape Our Man-made World. London: Penguin Books, 2014. Stuff Matters opens with an emphasis on the fundamental importance of materials to us, apparent from the names given to stages of civilization such as the Stone Age, Bronze Age and Iron Age. 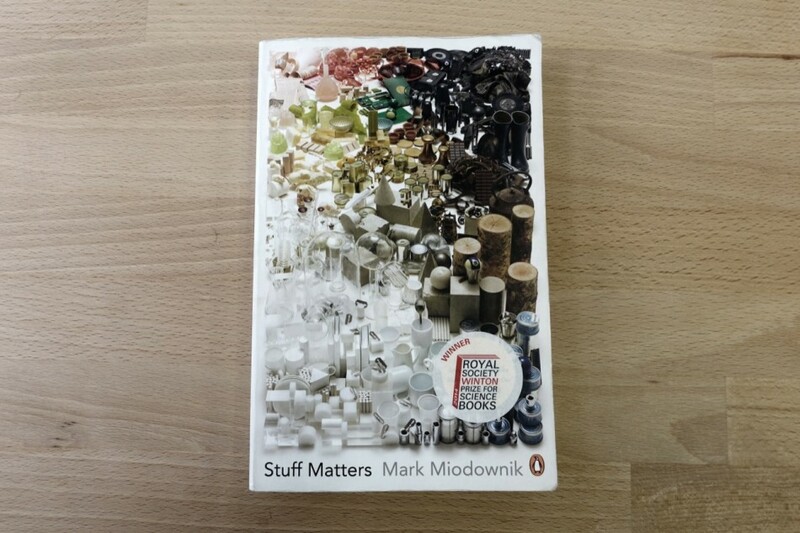 “After all, everything is made of something…” As a starting point for structuring his book on this subject of endless stuff, Miodownik uses a photo of him taken on the roof of his flat and picks ten materials found in that photo. Those particular materials are then used to shape the ten chapters of the book on steel, paper, concrete, chocolate, foam, plastic, glass, graphite, porcelain and biomaterials. Each material is explored in great detail, not only concerned with its physical properties, but also with other aspects such as its sensual features, historical background, and cultural connotations.